Mintmark for the cities of: New Orleans, Louisiana (US coins), Riom (French coins), Oaxaca (Mexican coins). An early Japanese form of gold coinage. Rather than being cast or struck, the oban was hammered smooth, then had the denomination and issuing authority painted on with black ink. A small silver (and occasionally a larger bronze) coin of ancient Greece; there were 12 chalkoi to an obol and 6 obols to a drachm. The name derives from the Greek word for an iron bar, used by the Greeks as a form of primitive money before the invention of coinage. The term was also the name for the small silver coin, worth half a penny, issued in various European countries in the Middle ages. There was also a "decimal obol" in modern times, used on some 19th century Greek bronze coins; this obol equalled 5 lepta, or 1/20th of a drachma. The front, or heads side, of a coin. Usually the date side. Short for original bank wrap. Short for one from every country. Some coin collectors try to make a set containing a coin from every country. Afghanistan to Zimbabwe, for example. A coin struck on a blank that was not properly centered over the anvil, or lower, die. 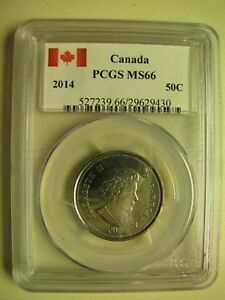 Coins that are 5 percent, or less, off center are graded by PCGS as a regular coin. Those struck off center more than 5 percent are graded as error coins. 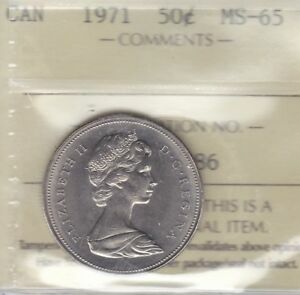 There will be an "E" before the coin number to designate an error specimen and the amount struck off center will be listed, rounded to the nearest 5 percent. A branch-mint within an ancient Roman city. Rather than having a single, central location for "the Mint", Roman mints were often split up into numerous "cottage mints" throughout the city. A large city might have over a dozen officinae. Roman mintmarks often indicated not only the city of issue, but which officina within that city was responsible for that particular coin. Mintmark for the city of Strasbourg on Italian coins of the 1860's. The "O" and "M" are attached together as a ligature. An ancient Greek bronze coin, used on Sicily, worth 1/12th of a litra. It originally weighed one Greek ounce of copper, and was the model for the early Roman coin, the uncia. Spanish for "ounce", the nominal denomination for several series of bullion coins in Spanish-speaking countries, most notably Mexico. On internet forums, short for original poster. The person that started the topic. Its name notwithstanding, a closed collar that surrounded the anvil (or lower) die used in striking early U.S. coins on planchets whose edges already had been lettered or reeded. 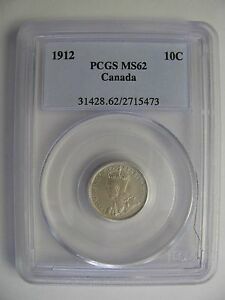 An open collar was a restraining, or positioning, collar that made it easier to position a planchet atop the lower die, and also sometimes kept the planchet from expanding too far. The dimple-textured fields seen on many Proof gold coins; their surfaces resemble those of an orange, hence the descriptive term. Some Mint State gold dollars and three-dollar gold coins exhibit this effect to some degree. The fractional currency unit of Norway, Sweden and Denmark. Note that the Norwegian and Danish ore is spelled with a "crossed out O"; the Swedish ore is spelled with an umlaut (two dots) over the "O". The names ultimately derive from the Roman gold coin, the aureus. A Roman form of brass, used to make certain kinds of ancient coins, such as the sestertius. It can have a very gold-like appearance. A term used to describe a coin that never has been dipped or cleaned, or a coin struck from original dies in the year whose date it bears. Coins in fixed quantities wrapped in paper and stored at the time of their issuance. The quantities vary by denomination, but typically include 50 one-cent pieces, 40 nickels, 50 dimes, 40 quarters, 20 half dollars and 20 silver dollars. U.S. coins were first shipped to banks in kegs, later in cloth bags, and still later in rolls. Silver and gold coins stored in such rolls often have peripheral toning and untoned centers. Obviously, coins stored in rolls suffered fewer marks than those in kegs or bags. Rolls of coins that have been together since the day they were removed from their storage bags. Also, rolls of Mint State coins that have never been searched or "picked over." Term for the color acquired naturally by a coin that never has never been cleaned or dipped. Original toning ranges from the palest yellow to extremely dark blues, grays, browns, and finally black. The currency unit of Mauretania. The ouguiya is a unitary currency, having no fractional units except for the transitional "khoums", worth 1/5th of an ouguiya. The name's awkward spelling in English is a result of it's origins: the Arabic rendering of the ancient Greek bronze coin, the onkia. A coin struck with a die on which one mintmark is engraved over a different mintmark. 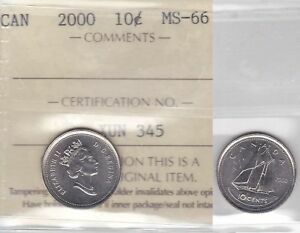 In rare instances, branch mints returned dies that already had mintmarks punched into them; on occasion, these were then sent to different branch mints and the new mint punched its mintmark over the old one. A coin that has become dull from too many baths in a dipping solution. A coin struck from a die with a date that has one year punched over a different year. Save a few exceptions, the die overdated is an unused die from a previous year. Sometimes an effort was made to polish away evidence of the previous date. PCGS requires the overdate to be visible to be recognized.